What’s inside a wedding photojournalist’s bag? If there is anything out there that can help you make your work stand out, apart from your vision of course, then it has got to be the tools. The tools are what makes your vision come through more easily. If you don’t have the right tools it would be next to impossible to achieve what you may have envisioned. So it is imperative that you know what tools to carry and how to use them at the very instant when a moment presents itself. In this article, we shall be discussing the tools that would allow you to shoot a wedding in a style that is reminiscent of photojournalism. More aptly it is referred to as photojournalistic wedding photography. So what are the tools that you should have on you as a wedding photojournalist on the day of the event? Wedding photojournalism uses many of the tools that traditional photojournalists use. Essentially what dominates the choice of tools is the approach that both genres of photographers have. They are actually candid photographers and that means they need to be able to use a fast shutter speed and a perspective that is close to the human eye. Having said that, most photographers with this style would use varied methods to play around with the perspectives. 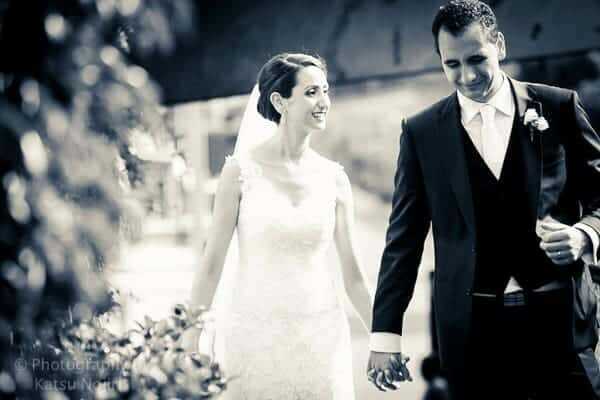 A fast lens is like the most important tool for a candid wedding photographer. Fast lenses allow you to shoot in low light situations, such as inside a dimly lit room where the bride is getting ready or when you are photographing the bridal jewelry, the shoes and the other accessories or when you are shooting images at the altar where using speedlights may be forbidden. Fast lenses also blur out the background and create what is popularly known as bokeh. Fast lenses, may just be what you want when you have a distracting background to deal with. A favorite among photojournalists, and not just candid wedding photographers, is the extremely popular 50mm prime lens. Several varieties of this lens are available from most of the top manufacturers. The incredibly fast f/1.2 is a professional choice. It captures one and 2-/3 stops of extra light when compared to something like an f/2 lens. Please note, an f/2 lens is already a very fast lens. In a low light situation, the f/1.2 is an incredible lens to have. When shooting outdoors the f/1.2 lens negates the necessity of using a flash even when it is overcast. But the 50mm is just one lens. There are other excellent choices as well. One lens that I always recommend is the Nikkor 135mm AF f/2 DC. DC stands for Defocus Control. I don’t own that lens but having shot with one on a rental I fell in love with it. For a full-frame camera that is a great short tele lens for shooting portraits. Candid photographers would often have two camera bodies on them. The other body could very well have a zoom lens mounted on it. A fast wide zoom that covers 70-200mm is a popular choice. Canon makes an extremely good f/2.8L II USM lens that covers this popular focal length range. 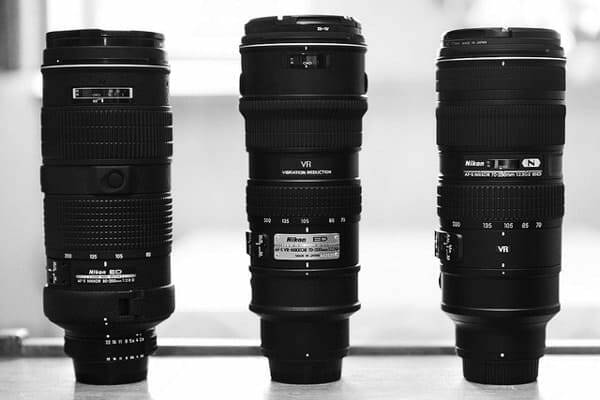 Having said that, the exact lens that you will end up buying will depend on the choice of your prime lens. Some wedding photojournalists also opt for a 24-70mm. Yet another excellent choice. Ideally, no one likes to fire a flash straight on. But then an external flash mounted on a camera can be turned and tilted to fire in a direction that’s away from the subject. If you have an external flash but are skeptical about using it, adopt the bounce flash technique and you will have much better results. If there is a white wall at the venue or a white ceiling it can be used to create a very large diffused light source that is soft and ideal for portrait photos. An external flash is a must-have for candid wedding photography. This is because in certain situations you will need the flexibility of a small and portable light source to illuminate your subject where larger strobes are not feasible. I have seen some photographers use their external flash unit hand-held. Using two transceivers such as the PocketWizard they stretch out their left hand holding the flash while the right hand holding the camera makes the shot. Reason? The outstretched arm makes the flash fire at an angle to the subject and forges a contrasty lighting setup. You can take this technique a step forward and ask an assistant (which would be a better idea to hold the camera steady with two hands) to hold the flash a little further away than an arm’s length for a slightly diffused and uniform look. Ever wondered whether it could be a great idea to shoot a wedding using backlighting technique? Try this method – ask your assistant to place the flash behind the subjects. With the background illuminated and the subjects having a strong rim light effect, the results are pretty interesting. You can even gel your flash with red, blue or other colored CTO gels. You will love the final results. A high contrast backlighting setup makes for some very interesting and unique images. The reason you want to add a diffuser to the mix is to create a slightly softer light when the flash is fired straight on. This is for those straight on group shots (for larger groups small speedlights are not feasible) were simply bouncing the light would not be enough. There are a hundred other reasons you would want to fire the flash straight on. For any or all such occasions having a diffuser cap reduces the intensity of the light. There is no approach that can be termed as unsuitable if the intentions are to create images that are taken at the spur of the moment, capturing it in all its glory. Most candid photographers go with the flow without putting in too much of a thought and depending entirely on intuitions. Having said that a certain degree of professionalism has to be maintained at all times as well.